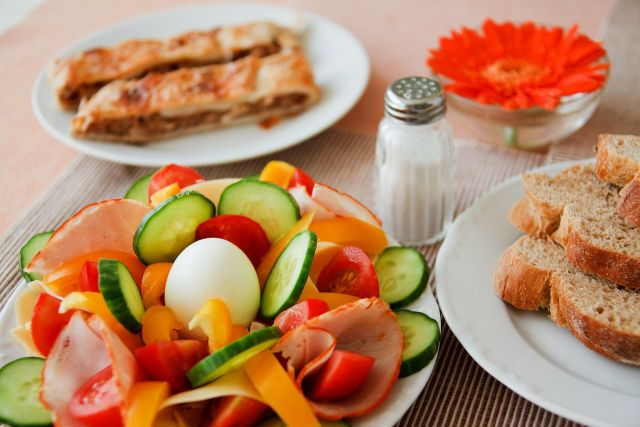 When it comes to nutrition, making healthy food choices is one of the best ways to improve one’s diet. 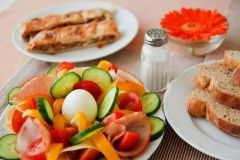 But before anyone can make these changes understanding which foods are good for us and which aren’t is the first step. Why can this be difficult? More and more we see foods labeled as good for your health or healthy, but many of these so called ‘health foods’ or trends aren’t really that beneficial to our bodies at all. To make things simple, we’ve gone through some of the small things everyone can change in their eating habits to end up being healthier. It may take time and more effort to prepare your own meals specially if you’re time crunched to get to work on time in the mornings, but it definitely pays off. Preparing your own meals ensures that you know all the ingredients that are being put into the meals. This covers everything from the food, seasoning as well as the method of cooking. Most restaurant food are high in sodium or sugar, cooked in a lot of oil and may not be that fresh at all depending on the establishment you go to or the day of the week you decide to eat there. Plus, on days when you’re in a hurry or trying to save a buck, chances are you’ll find yourself ordering fast foods which makes things worse. The added upside of making your own meals is that they end up much cheaper. Food establishments need to add markup to their food to cover rent, salaries and utility costs making the average cost of eating out at least 3 times as much as making your own. Over the years, our sodium intake has been increasing to the point that the average American consumes over 50% more than the recommended daily sodium intake. This has led to an increase in the rate of high blood pressure cases. High blood pressure is a metabolic related disease that can lead to very harmful health consequences if not taken care of. In the long term uncontrolled high blood pressure increases the risk of heart disease and stroke. High blood pressure is also the leading cause of kidney failure. One good way to lower you and your family’s sodium consumption is to read the food label. Be aware that items labeled ‘low sodium’ still contain sodium so it isn’t the best thing to eat a lot of it. Be more careful with the tag ‘less sodium’ as this only means that it has less sodium than the original version but could be a ton of sodium still. One good way to reduce sodium intake is to use other flavoring alternatives when cooking for the family. Ingredients like herbs and spices are great ways making food tastier without adding salt. Part of the reason obesity has continued to skyrocket is that our portion sizes continue to grown as the years go by. Our parents and their parents didn’t have this problem because their food choices were not littered with buffets and high calorie meals. Everything from burgers to fries to drinks now have a ‘super size’ option. What’s with that? Part of eating healthy isn’t just choosing the right foods to eat and foods to avoid, it’s also knowing how much to eat. Our bodies thrive on moderation and variety and too much of even a good thing can end up being bad. One example of this is olive oil. Thanks to its good fat content olive oil is healthy and helps improve our cholesterol levels. Try adding a lot of olive oil on each of your meals daily for a month, then have your lipid profile tests. Your cholesterol will be much higher than it used to, even past the normal accepted range. Along with salt, sugar help food taste better. The sweet flavor sugar brings to food has made it an ingredient every chef, cook and baker can’t do without. But because both salt and sugar taste so good, we end up abusing them. We keep adding them to food and eat more of those foods because they taste so delicious. This is why both high blood pressure (from too much sodium) and diabetes (from too much sugar) have become two of the biggest health problems in the world. More and more young kids are being diagnosed with these diseases which used to be something an 40-plus year old individual may be at risk of. Bakery products like cakes and pastries, sodas and commercial beverages, as well as many well know snacks are made using refined sugar, a lot of it. Cutting down on these sugar-laden products will help reduce the potential negative effects brought about by sugar, not to mention cut down on the calories that come with them. To replace these sugary products, go for whole grain products instead, which are healthier and contain good amounts of fiber. Are There Any Benefits of Fast Food? Ramen Noodle Diet: Will It Help You Lose Weight?